Yumiko Van Rooi received her Bachelor of Music in Piano Performance from the Toho Gakuen University of Music (Tokyo, Japan). Yumiko continued her studies with Saida Matyukov at the Vancouver Academy of Music, receiving her Artist Diploma. Ms. Van Rooi has performed in master classes for Robert Silverman, John O’Connor, Mikhail Vosklesensky, Jan Ekier, and Lee Kum Sing. 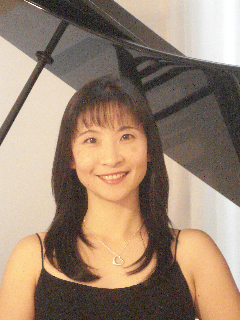 Yumiko has also studied with Akiko Teranishi as well as Suzuki Piano Pedagogy with Susan Magnusson and Merlin Thompson.